The Australian Centre for Asian Business at the University of South Australia has been appointed by the Australian Trade and Investment Commission (Austrade) to conduct a range of information and training workshops to assist small business to understand and explore business opportunities with China as a result of the recently signed Free Trade Agreement between […]... The China-Australia Free Trade Agreement (“ChAFTA”) – the intellectual property chapter Published on 28 Oct, 2015 Following more than a decade of negotiations, the final text of the China-Australia Free Trade Agreement (the “ChAFTA”) has now been tabled in the Australian Federal Parliament and is thought to have a clear majority backing. A Guide to using the China Australia Free Trade Agreement. 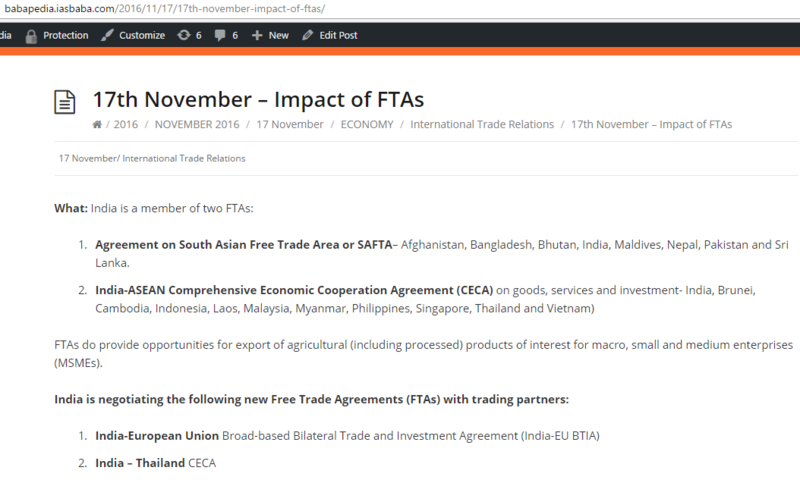 Australia currently has free trade agreements in force with China, Japan, the United States, South Korea, Malaysia, New Zealand, Singapore, Thailand and Chile, as well as the Association of South East Asian Nations (ASEAN), with New Zealand. The China-Australia Free Trade Agreement (FTA) has had only a modest positive impact on the engagement intentions of Australian business. A different picture emerges by industry, with the services sector most positively impacted.